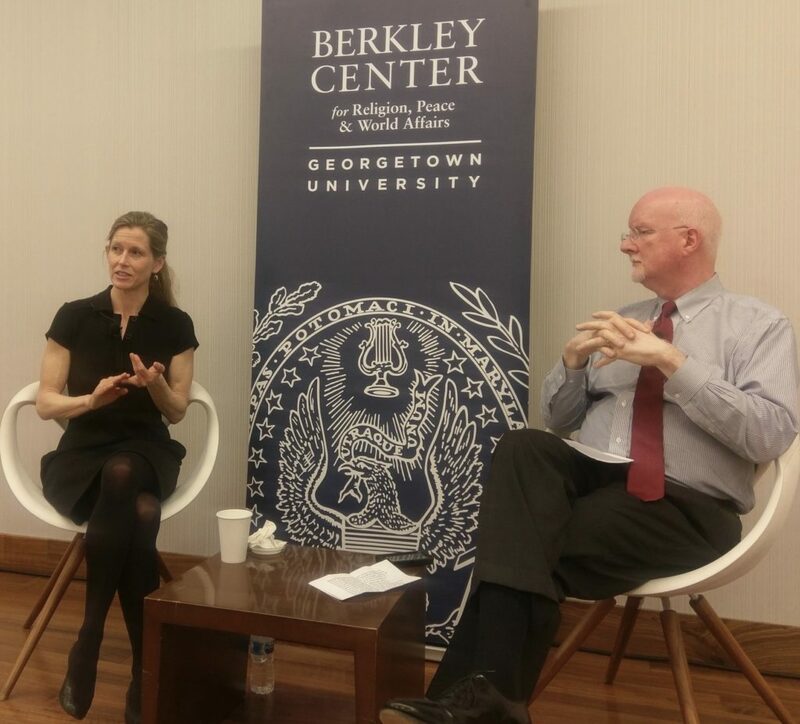 In conversation with Berkley Center Director Shaun Casey, Karenna discussed how religious communities strive to promote environmental consciousness with an aim to fulfill a responsibility for the common good. Over the past three decades, climate change has become an increasingly prominent topic on the global agenda as advocates have marshaled scientific, policy, and moral support to protect the environment. In addition to state actors and the private sector—who engage in traditional coordinated advocacy efforts for environmental protection policies—faith-inspired actors can foster significant change in addressing environmental challenges as key participants in sacred spaces, community development, and advocacy practices. This faith-based engagement incorporates a spectrum of responses, ranging from official proclamations such as Pope Francis’ Laudato Si to indigenous efforts tied to spiritually significant locations, such as the water protectors at Standing Rock. Looking for more? See more of Karenna Gore & the CEE Team by browsing our YouTube playlists.